I’ve been riding since the early 70’s. I started with a mini bike and a Briggs and Stratton engine. When I was old enough to ride a motorcycle, my dad told me I’d have to start on a Honda 90 that he purchased from a friend. (I wasn’t happy about having to start on a motorcycle that had a frame like a “girls bike”, but I really wanted to ride.) The engine had been taken apart and was in a box. We took it to a dealer who put it back together. Over the years I’ve had several motorcycles. From Honda’s to Harley’s I’ve enjoyed them all. It doesn’t matter what you ride, just ride. I have really enjoyed your blog! I have enjoyed it so much it has inspired me to start my own. Ride On! Welcome to blogging, and thanks for viewing my blog. When I ride, I try and always have my camera with me for a photo or two. I’ll check out your new blog and follow along. Ride safe. We are currently in NM. Had hoped to make it to Moab but the forecast convinced us to stay in NM. Weather gods it seems were kinder to us than you. The wind in Kansas nearly knocked me off my bike. Ride safely. 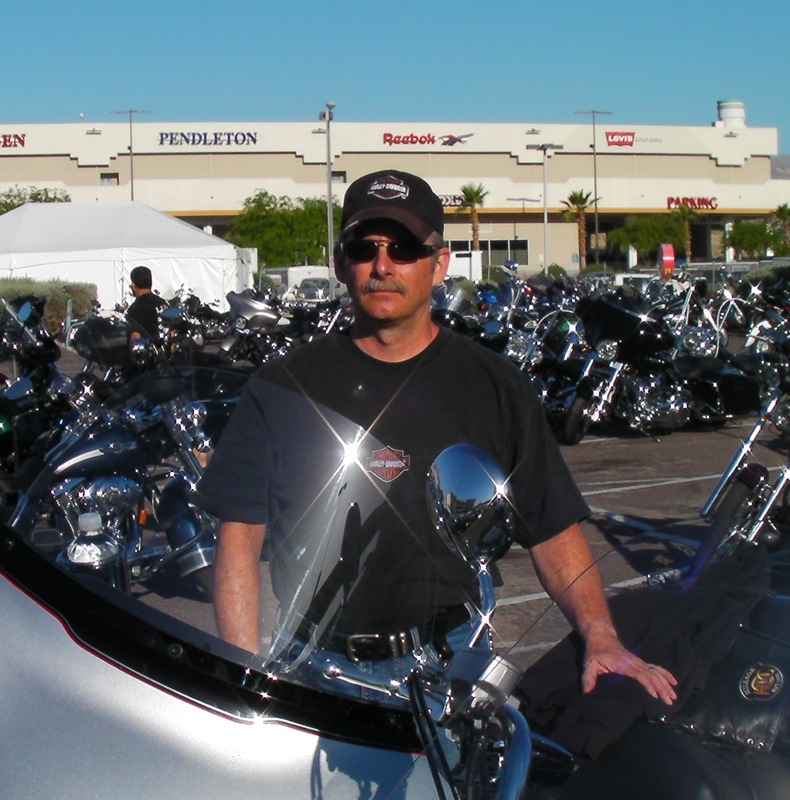 Thanks for stopping by my motorcycle blog. If you get a chance to visit Moab another time, I don’t think you’ll be disappointed. I throughly enjoyed it. Thanks. I spent 9 weeks in Moab back in 2005. My riding partner had never been. Maybe next ride. We are working hard to avoid inclement weather! Have you ever ridden Camino del Diablo or Copper Canyon in Mexico? We’re planning our 2014 ride and are going to be hauling our dirt bikes (my KLX250) out and riding Death Valley and down into Mexico. Suggestions? I’m sorry I can’t give you any suggestions on those rides. I’ve never taken my bike to Mexico. Looking on the map, those are some pretty remote areas. If I were to do those rides, I’d want to take as much water and extra gas as I could carry. Looking forward to your posts after the ride. Ride safe. No worries. We’ll be on knobby tired dirt bikes w lots of water and fuel cans! The company organizing the the LiveWire event I am attending is eventbrite. But they are likely using different companies in different regions.